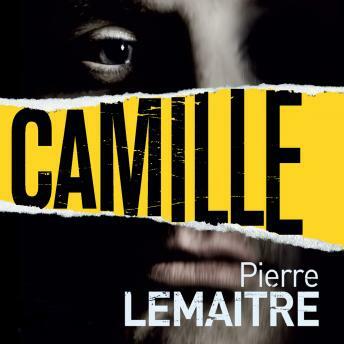 In his acclaimed, award-winning novels Alex and Irène, Pierre Lemaitre created an unforgettable character in Police Commandant Camille Verhoeven. Now, in Camille, the final volume in Lemaitre's internationally bestselling trilogy of 'meta-meta detective' novels (The New York Times), Verhoeven faces his most harrowing case yet, and the ultimate reckoning for the diminutive yet tenacious protagonist. Anne Forestier finds herself in the wrong place at the wrong time when she is trapped in the middle of a bank robbery. Shot three times, she is lucky to survive-and morbidly unlucky to remember the face of her assailant. Followed home from her hospital bed, Anne is in grave danger. But one thing stands in her favor-a dangerously vengeful partner, carrying the scars of devastating loss, who will break all the rules to protect the woman he loves: Commandant Camille Verhoeven. Following the horror of Irène and the thrills of Alex, Camille is the heart-stopping final chapter. Drawn once again into a labyrinthine web with answers ever out of reach, Camille must draw on all his talent to face an enemy who threatens everything he holds dear.